Browse sweaters for women at Banana Republic and upgrade your style with an inspired new design. In this large collection of women's sweaters at Banana Republic you'll find a range of incredible designs. From classic crewneck to warm and cozy turtlenecks, and stylish V necks, you'll find cute sweaters in this line work well with your favourite bottoms. Choose from pullovers or cardigans, and start creating a new look today. When the temperature starts to plummet, you need a few amazing warm clothes to create a seasonal look. Winter sweaters for women from this line are adaptable garments that can help you build an outfit for a range of situations. A V neck sweater or cardigan worn over a dress shirt is perfect for work in a drafty office. A turtleneck sweater with a simple necklace and earrings worn with a pair of skinny jeans makes for an attractive casual date night look. There's almost no limit to the variety of outfits you can cook up with these adaptable garments. Choose women's cotton sweaters for extra-lightweight clothing that provides moderate warmth. Merino wool blends add warmth and breathability, and cashmere blends bring maximum softness. Shop a wide variety of colours including understated and approachable earth tones, classic off-whites, rich burgundies and more. You'll turn heads this season with a fabulous sweater from this line. 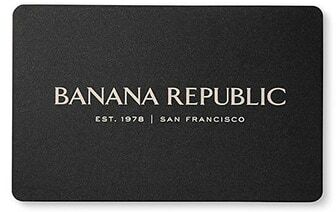 Shop sweaters for women online at Banana Republic and discover an exceptional garment. You'll appreciate the high-quality manufacturing and premium fabrics used to make this clothing. When cared for properly, these gorgeous sweaters will retain their vibrant hue and expertly tailored shape for years to come. Season after season, you'll be reaching for these sweaters to complete your best outfits. Relax and enjoy the winter season. Slip on one of these designs and cuddle up by the fire with that special someone. There's no feeling quite like donning the perfect cardigan or pullover and sipping hot apple cider on a blustery night. Shop cute sweaters for women at Banana Republic and snuggle up with an incredible new garment.